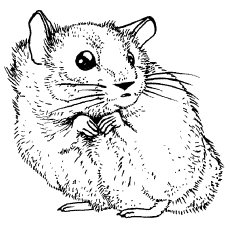 Hamsters can be best described as soft, small balls of fur that most kids and adults enjoy keeping as pets. 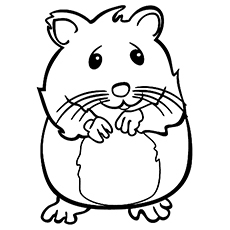 In fact, most kids love maintaining a little cage for their hamster with a wheel for it to play on. 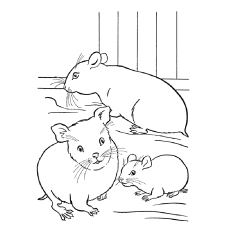 These furry animals, apart from being house pets, make for great coloring pages especially for small kids below the age of 8 years. 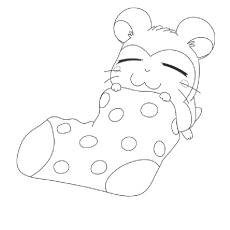 These various hamster coloring sheets depict hamsters in a number of situations, looking cute and endearing. 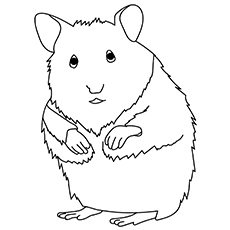 Your kid will enjoy his time with these hamster coloring pages free. However, your kid might want you to buy him a hamster after the activity ends! This is the perfect picture to start things off with because it simple to color without much complexity. This picture is apt for children who have just started to learn how to color. 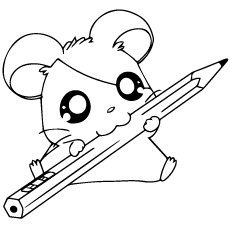 The name ‘Hamster’ at the top of the page will ensure that your child will learn how to spell its name as well. 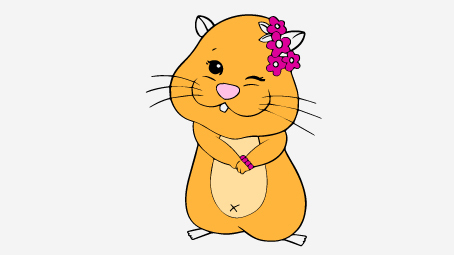 This is one of the cutest hamster coloring pictures for your girl because it showcases a hamster in a cute dress. 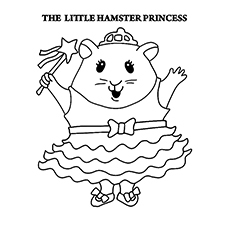 The cute dress, the flower hat and the shoes make for a great coloring page for girls who love fashion, and hamsters. 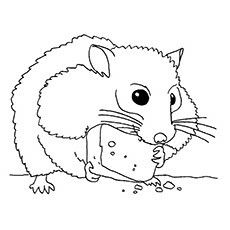 This coloring page will build better hand-eye coordination. 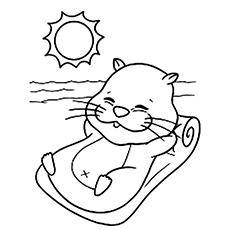 This picture is great for coloring because it has so many elements to keep your kid occupied. 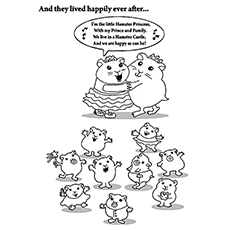 This picture showcases an entire Hamster family. Your kid will learn to color multiple objects. 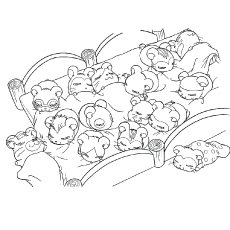 Your child will enjoy coloring this picture because it has been presented in the form of a story. 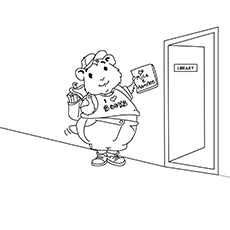 This is a great picture for your little girl child to color when she has some free time after school. Your child will to focus her attention on small details in the image. 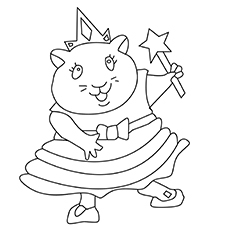 Your child will learn to color within a specified area. 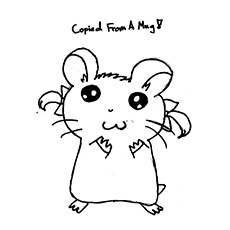 This picture will also teach your kid to draw a hamster along with coloring it. This picture can be traced and reproduced because of its simplistic nature. This picture is apt for children above the age of 5 years. 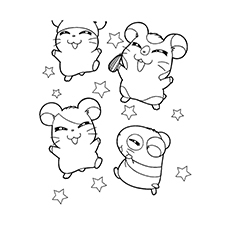 This picture will showcase hamsters having a good time with additional elements as well. 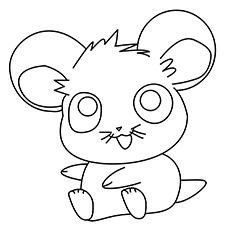 The multiple hamsters will allow your kid to choose a number of colors to experiment with. This picture is outlined well to ensure that your kid stays within the limits assigned. 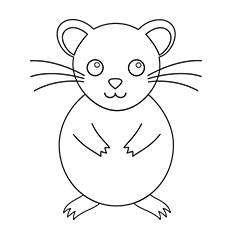 This picture is perfect for children who are learning to color images that have animals in motion. He will learn that hamsters make small movements when they move. The interesting image will pique your child’s interest. 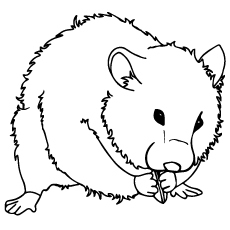 This picture is perfect because your child will learn to color animals that hang upside down. 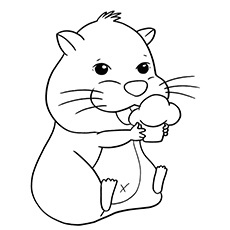 The picture may be quite difficult to color because the hamster is found upside down. Show your kid other animals that are found upside down like the monkey and marsupial. 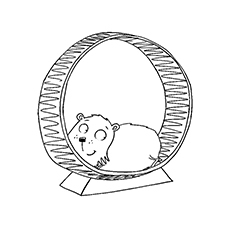 This picture will introduce your kid to a hamster’s favourite pastime – playing on the hamster wheel. Your kid enjoy coloring a fun toy. You can show your kid a video of a hamster on a wheel to make things more clear. 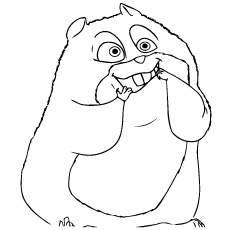 This picture is great as it ensures that your kid understands the kind of food hamsters eat. 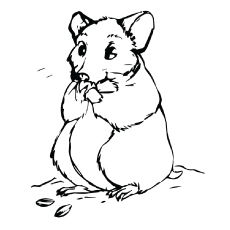 Your child will learn that hamsters enjoy nibbling on bread or other crumbs. This picture is perfect for small kids. 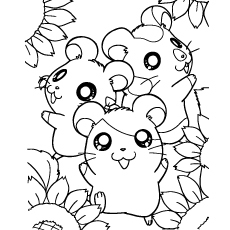 These hamster coloring pages are quite easy to color and should not be much of a task for your children. 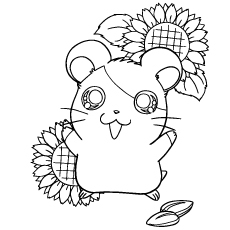 Pepper the coloring session with tiny anecdotes about hamsters to make it personal. 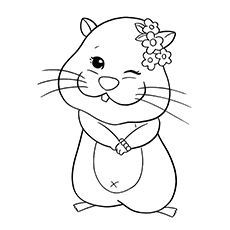 Hope your kids loves these free printable hamster coloring pages online! Share their thoughts about them, with us, in the section below.